Should internet access be free in hotels? That is an on going question and I didn’t manage to get my head around it yet. But one thing I know is that what I currently see doesn’t make any sense. Hotels are spending large amount of money to increase the guest experience, upgrading constantly the quality of bed linen, fancy bathroom amenities, sound system, mattress etc. But yet, what is considered as the most important feature for any business traveller (and leisure traveller as a matter of fact) is still charged at often ridiculous rates. Is it a problem of cost of infrastructure? Surely cable TV doesn’t cost less to set-up and yet a common feature provided free of charge for many years in any hotel regardless of the room rate. In 2010, where more or less everything revolves around the internet and where any traveller need a reliable connection, why hotels are not blindly going for that easy solution to position themselves as a modern and reliable “travel companion”. That is not rocket science innovation. I am saying this without any back-up or research but I would say that a fast, reliable and free internet connection in a business hotel comes first (together with hot shower and comfortable king size bed) way ahead of a large selection of TV channels. Anyone with an opinion I would love to hear it. See follow-up article posted in September 2010: WiFi connections in Hotels – the New Hot Water? ← Independent hotels vs. Global brands. Fair game? I agree with you, it’s ridiculous, that you have to pay, I recently went to a business assignment in the Hyatt Regency in Trinidad and those organised the event, brought their own damn 4G wifi internet for the attendees to use. I think when you have to reach to that point, hotels have to review that charge for internet access. There are a couple of problems with WiFi in hotels. The first is the hope of owners and managers that WiFi can be a revenue stream — they’re reluctant to give free access as it cuts revenue. The second, which i don’t think all hotel managers realise yet, by the way, is that running WiFi for two or three hundred rooms is not trivial, technically speaking. Think of the connection you enjoy at home — 4mb? 8mb? Higher? 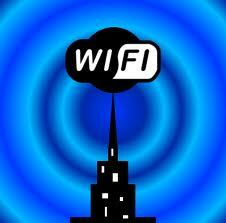 To give all hotel users free WiFi access at a realistic speed would require a huge investment in bandwidth. I’m conducting some research into WiFi speeds in client hotels, and the early figures that we’re looking at show 10 or 20k average connection speed per room, which could only result in a disappointing user experience if everyone used WiFi at the same time. Another technical issue is that it’s very difficult to make WiFi available to a large number of people at the same time — something you’ll be familiar with if you have tried to use WiFi at a large conference. If anyone has WiFi figures from their hotel that they’re willing to share with me, i’d love to talk to you about including in my research. This is something I really believe in – wi-fi is now the number one requirement in terms on amenities, especially for a business traveller. But, even is wi-fi is at a charge I don’t mind (as long as it’s reasonable!). It’s when a property install wi-fi access and you either can not connect of the signal and strength is so poor, even loading a page is tiresome. This duly reflects badly on the hotel. My advice to hotels – invest in this service, with no half measures! Hi Simon, you brought up a very valid point. Fast and reliable internet connection come first over the fact whether it is free of charge or not. Access is the priority in guest’s mind. The usual dilemna of free Internet in hotels. As mentionned in the last HEDNA conference in London, I predict that in 5 years time, hotels won’t be able to to charge for Internet. For now it’s true there is the complexity of delivering good Internet bandwith and i would rather pay 15$ for a a reliable and secure Internet than sharing with everyone else in the hotel. I still think wifi should be free in the lobby of the hotel though. As a director of a group of 4 hotels in the UK I introduced free internet access into them as far back as 2002! The result – increased business! Even now I have just invested £15k in putting a combination of a hard wired and wifi solution into my latest hotel – The Plough and Harrow Hotel in Birmingham. Having taken it over in Feb one of the first things identified as costing us business was the lack of internet access. The charge to clients going forward – FREE. There can be issues with infrastructure, multi user, bandwidth etc but these can be overcome and a decent service provided which would satisfy the large majority of guests who simply want to use email. Thanks a lot Robert for the insights. That’s great. No doubt that this must have been an heavy investment for your hotels but I guess more efficient than an advertising campaign that would have cost you the same. Very often hotels are coming up with fancy advertising campaigns before figuring out what the brand/product promises the guests are expecting. Happy guests = more business. Very naturally. Would you agree Robert? Hi Fabrice, happy guests certainly equate to more business. In my opinion to many of the brands are more concerned with gimmicks, (e.g. pillow menu with scents) and getting PR than concentrating on the differing services that business and leisure guests want during their stay. Thanks for looking at the Plough & Harrow website – its only a holding page at the moment – and I have a lot of work to do! Hi Daphne, many thanks for sharing your insights. I went to have a look at your website to understand more about your hotel (www.daphnesclub.com). As a Hotel Apartments I am sure that one of your objective is to give a “home” feeling so your guests feel very comfortable and keep coming back regularly on holidays with their families. All of them having internet at home it is almost inevitable that you have to offer them convenient and reliable internet access. At least I can see you have outstanding guests comments! Please keep visiting the blog. More stories in the pipeline. I definitely will! I discovered your site on a relatively calm morning spent “learning” on the internet. By the way, I have been wondering what to do with our TVs : I need to buy new ones with mpeg4 receptors (we are finally converting to digital in Greece too!) and, anyway, more sleek ones (I have the old small boxes still…), but I dislike the idea of the cost this will entail, for something that I am “ideologically” against (i.e. we are being fed a load of rubbish), and which is not, I think, a must for a (mostly) summer hotel, where guests spend the day outdoors. I’d so much rather invest in something else (new mattresses for example). I know that there are small hotels, eco hotels and boutique hotels that make do without TVs, but I am a little apprehensive. Any tips? Hi Daphne, Small and eco hotels that do without TVs are usually targeting exclusively couples in romantic destinations. It is hard (and risky) to have a similar approach with family hotels or resorts. Even though your guests will spend most of their time at the beach or pool, the kids do like their half hour escape in front of a cartoon before going to bed. So my first recommendations would be: yes you do need a TV in each unit and you do need a minimum of one or two kid channels. A DVD player with a reasonable selection of cartoons and family movies available at the front desk can also be an option you may want to consider. It limits the access to rubbish you are rightly talking about. The rest – selection of cable TV channels, fancy flat screens and Mpegs receptors might be secondary. Stay focus on your brand positioning. Fabrice thanks a lot for your tips! This is a very hot topic at the moment and one that affects a lot of us! BTW love the blog keep it up! Thanks a lot for your positive comments about the blog. I got many great opinions/insight online and offline to the “free internet” question and it would probably deserve a follow-up post. They key is not only the internet but all the amenities that the majority of the guests needs and would like to see included in the room rate without having to bother. It doesn’t mean the hotel has to absorb the cost, it means that the guest should have peace of mind and just have it accessible without worrying about cost, set-up etc. Thanks for being a regular reader and if you have any comment or suggestion feel free to let me know. ps: Congrats for the launch of the brand new online space of Mise En Place!